Do you have questions for the publishers of this website? Here's how to reach us. If you are a home buyer and/or borrower, and you have questions about the FHA loan program, please contact the Department of Housing and Urban Development (HUD). We are internet publishers and educators. 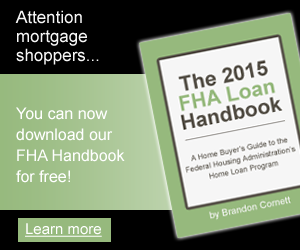 We are not an official source for FHA guidance. If you have specific questions about the program, you can email HUD directly at answers@hud.gov, or call (800) CALL-FHA (225-5342). Do FHA Lenders Check My Credit Score Again Before Closing? I'm Pre-Qualified by an FHA Lender. Does That Mean I’ll Be Approved? © 2019, FHAhandbook.com. All rights reserved.